Voted Best of Houzz for 2017, Turner Photography provides Real Estate Photography, Aerial / Drone Photography, Virtual Tours and Twilight Sessions. Turner Photography has been a premier provider of photography serving Venice and the surrounding areas since 1985. ⠀⠀⠀⠀⠀⠀⠀⠀⠀⠀⠀⠀⠀⠀⠀⠀⠀⠀⠀⠀⠀⠀⠀⠀⠀⠀⠀⠀⠀⠀⠀⠀About Us ⠀⠀⠀⠀⠀⠀⠀⠀⠀⠀⠀⠀⠀⠀⠀⠀⠀⠀⠀⠀⠀⠀⠀⠀⠀⠀⠀⠀⠀Licensed | Insured Tailored Interiors is a State certified licensed and insured building contractor with over 30 years in custom home building and remodeling experience in the state of Florida and Massachusetts. Tailored Interiors offers everything under one roof. We specialize in building new homes, remodeling of existing residential and commercial properties, to furnishing the inside of a space to add the finishing touches on your project. Having a team that is very passionate about their work, means we go up and beyond for you our client and your project. Listening and understanding each and every detail is at our forefront. Prioritizing in making your custom home building or remodeling experience a positive and and enjoyable one. We are the certified licensed builder and contractor that handles all aspects of your project from start to finish. Experience the difference with Tailored Interiors an all inclusive company. ⠀⠀⠀⠀⠀⠀⠀⠀⠀⠀⠀⠀⠀⠀⠀⠀⠀⠀⠀⠀⠀⠀⠀⠀⠀⠀⠀⠀⠀Company Values ⠀⠀⠀⠀⠀⠀⠀⠀⠀⠀⠀⠀⠀⠀⠀⠀⠀⠀⠀⠀⠀⠀⠀Honesty | Integrity | Trust | Reliability We built our name on these values, withstanding the test of times by never straying away from our beliefs. We have an amazing team that strives to go up and beyond for each and every client and their project. Each one of our team members takes great pride in their work and loves being able to see their client's dream space come to life We believe listening is fundamental to achieving our client's dream vision. Being able to hear a client's likes and dislikes and transform their ideas into a cohesive and functional design is what we do best. We always keep our client's functionality in mind when assembling the design project and choosing the right products. Taking your day to day living into consideration and focusing on what we can do to improve the overall functionality of your space. Tailored Interiors is a team that is completely committed to your project and our client's satisfaction. Royal Remodeling & Design local contractor for your remodeling needs. We specializes in Kitchen, Flooring, Bath or full home remodeling. We offer custom design, 3D visual design, products, and professional installation. Call us today to get started on your dream project! Hand-painted high-quality wall murals,Trompe Loeil designs and fine art commissions for residential and commercial settings. Each mural is uniquely designed to suit any room of your home with a wide range of styles and themes. From elegant spaces to whimsical nurseries, children and teen rooms. Interior and exterior, pool, patio or porch areas. Original art, hand painted on site or on canvas. Nothing is too large or too small. A Coastal Home is an interior design studio that focuses on residential interiors as well as remodel and new construction selections. A Coastal Home serves clients throughout Sarasota County. A Coastal Home strives use creative talent to add a unique personality to each project . As a fully licensed and insured painting company in Venice, FL, Paint Masters Painting Contractors LLC has always been fully dedicated to the individual needs of each client we work with. We have many years of commitment and experience serving the community, and it is our highest priority to make sure that our customers receive the most appropriate solutions for each situation. Our team always knows what the right decision for any kind of interior & exterior painting assignment is, and we will help you achieve the look you have been dreaming of! If you have any ideas for the appearance and style of your property feel free to share them with us, and we will design a unique and distinctive look that will definitely impress you. For the past 21 years, Paint Masters Painting Contractors LLC has been one of the most preferred and reputable options of the Venice, FL community, and as a responsible painting company, we stand by the quality of each project we finish! If you want to make sure that you are working with the right professionals, just give us a call at the number you will see listed below for further details and information on our wide variety of services! Our Vision To apply our experience and creative solutions to deliver a project that exceeds our clients expectations.We will deliver quality results on time, within budget to specifications and complete customer satisfaction at a reasonable price. Our Mission Design and Remodeling Solutions LLC, will serve customer needs by continuing to provide the highest caliber of customer service, quality workmanship, and professional expertise and to do so at a cost competitive value. We will build market share without compromising our integrity, reputation and position of respect in the community. We will be active in our community and remain a positive partner in its growth. Our company creates opportunity for those employees associated with us to have rewarding jobs. We work together as an efficient and productive team to accomplish our goals and performance objectives. Our Philosophy We know that trust is the most important element in building a client relationship.That is why honesty and integrity dictate all we do. The span of our business practices from estimating to finishing each contributes to building trust with our clients. We believe that the quality of the final finish is a direct reflection of both our integrity and your personality.We recommend that you begin the process of selecting your Team by checking the guidelines for choosing a good contractor. Our records and customer satisfaction provides you with an insight into how we do business. 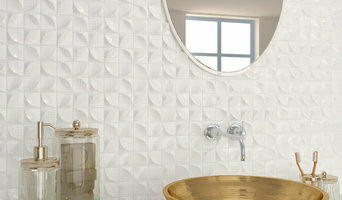 *Check out our most recent feature in Kitchen & Bath Design News: <a rel="nofollow" target="_blank" href="http://www.kitchenbathdesign.com/122254/living-kitchen-takes-in-the-view-2/">http://www.kitchenbathdesign.com/122254/living-kitchen-takes-in-the-view-2/</a> <a rel="nofollow" target="_blank" href="https://www.kbbonline.com/projects/kitchen/living-in-the-kitchen/">https://www.kbbonline.com/projects/kitchen/living-in-the-kitchen/</a> With over 30 years of award-winning experience and an outstanding reputation for establishing new design standards, Thomas Richard Kelly is one of the premier kitchen and bathroom designers in the country. Thomas R Kelly has earned certification, including Certified Master Kitchen and Bath Designer (CMKBD), under the auspices of the National Kitchen and Bath Association (NKBA). Thomas R Kelly was one of the first designers to have incorporated "Green Design" into his projects. 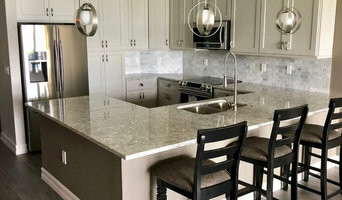 Wherever you live, you can call upon Thomas R Kelly to meet your unique requirements, whether you are considering a state-of-the art kitchen or a complete custom home. Editors of home and shelter publications - for both the professional trade and consumer publications - recognize the distinct creative quality of Thomas Richard Kelly. We do bathrooms and other rooms when combined with kitchens or projects requiring fine quality materials and craftsmanship. Bathroom remodels start at $50k and kitchens start at $80k. Ever since Michael Bishop started creating structures in his backyard out of extra bricks and cinder blocks, he knew what he wanted to do for rest of his life and worked on honing his skills throughout his youth. Michael is a Venice, FL resident and is a familiar and trusted face in the southwest Florida construction scene and community. He and his team can find the right construction or remodel solution to your home or commercial building needs. Michael is also no stranger to international builds. He took his skills overseas to Cameroon, Africa, and built 2 new homes for Southwest International Construction Company. So, no matter where you want your new home, Bishop Construction Services will get it built! We take great pride in treating each and every client like family. Construction is not the cleanest of professions but we truly go above and beyond to keep your property in top notch condition throughout every stage of the process. Personally, I love the fact that we start a project as a client/contractor relationship, and by the time we’re finished we can call each other friends. There’s no greater feeling than delivering a project on time and within budget, then years later running into that (now called) friend, and they’re still ecstatic about the work. Making the choice to build, remodel, or expand are all major decisions one makes in life. Choosing the right contractor for you can and will make all the difference. At Van Osdol Marble and Tile we feel that every job is a work of art and worthy of perfection. Our dedication to providing the highest quality craftsmanship and customer service is what sets us apart from other companies. Mark Van Osdol has been installing Marble and Tile for 25 years in Sarasota, FL. He is present on every job and only works with highly skilled and talented craftsman. But before you start sending out dozens of emails and making phone calls, sit down and think about your project. What's your budget? What is the scope of your project? Will you need more than one type of professional to complete your home improvement project in Venice, FL? Can you afford to complete the full project now, or should you tackle it bit by bit? Once you've settled on your project’s priorities, budget and scope, it's time to start researching Venice, FL home design professionals. Don't sell yourself short and settle on the first professional you set your sights on. Make sure that you're working with someone local, who can get to the jobsite easily and efficiently. Look into the person’s reviews, ask to speak with former clients and to see previous jobs in person. Take a good look at their portfolio photos: How similar are these projects to your own? Be honest — that mansion might look beautiful, but it might not have a lot in common with your little bungalow. Reach out to multiple professionals — especially for larger projects — and don't settle for the first bid you hear. Comparing multiple Venice, FL professionals' bids and experiences can help you find the one that’s best for you. Ask a lot of questions now, so you won't have unexpected answers later. Find a home design professional on Houzz. Narrow down your search by type of professional and location. 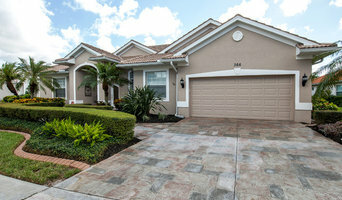 Browse Venice, FL portfolio photos, read client reviews and contact each Venice, FL professional for more information. Check out the information in the specialized professional sections too for tips on how to hire the right professional for your project.